BOLD MONKEY: New Release/ Book Review: Justin Hyde AN ELEPHANT HOLE. Interior Noise Press, Austin Texas, 2014 (291 pages). 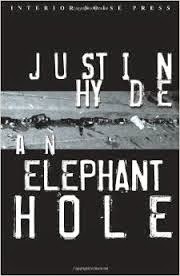 New Release/ Book Review: Justin Hyde AN ELEPHANT HOLE. Interior Noise Press, Austin Texas, 2014 (291 pages). In An Elephant Hole you will find 154 lower case, free verse confessional poems in the collection, usually from Hyde’s point of view. This is Hyde’s largest collection & collates many of his online contributions spaning ten years. In the afterword, he acknowledges 66 small press publications in which the poems have previously appeared. The writing is anecdotal and based on everyday incidents. The writing is highly accessible and it will only take you about 2-3 hours max to comfortably get through this book. A vast majority of the poems are confessional from Hyde's point of view. 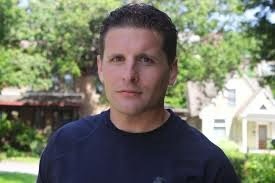 Hyde treads his usual terrain- the emotional debris of dealing with his difficult partner, his relationship with his young son, his childhood memories of growing up, his evolving relationships with his father and grandfather, & more recently, his writing life & the new women he tries to root. The most interesting poems in this collection are Hyde’s portrait poems which usually depict his conversations with his fellow shift workers in low paying manual jobs, or best of all, his chronicling of what his work release inmates reveal to him in his role as a parole officer. You will find in Hyde's collection a consistency of tone and some clever use of language, but overall, there is a drab sameness in the reality he relates to us.